Christmas is coming, Christmas is coming, Christmas is coming! We’ve been eating all the pie we can these last few week, but can’t hold the holiday cheer back any longer. I can hardly wait for the most joyful day of the year. We’re kicking it off with an idea that I think is one of the most creative I’ve seen. A polaroid advent countdown calendar. Wrap the presents, take a shot of the present and then hang all the photos up. On the day of, hide the present somewhere in the house to be found. It’s a game and a countdown that will quickly become one of the family’s favorite holiday traditions. The anticipation of seeing all the presents is just so fun! 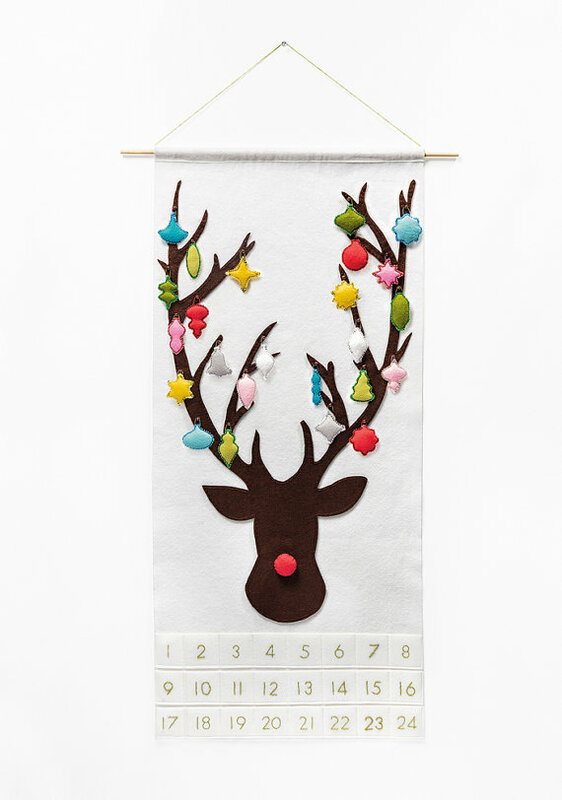 The regular old advent calendar just got a style upgrade with this Rudolph Advent Calendar Pattern. 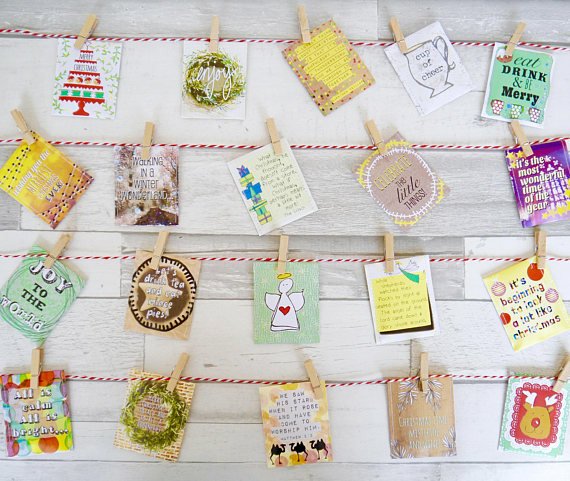 For those who love to DIY, this gorgeous calendar is the craft for you this holiday season. It includes an instant printable to guide you through the making of Rudolph + 24 vintage ornaments, a pretty little piece to hang up year after year! 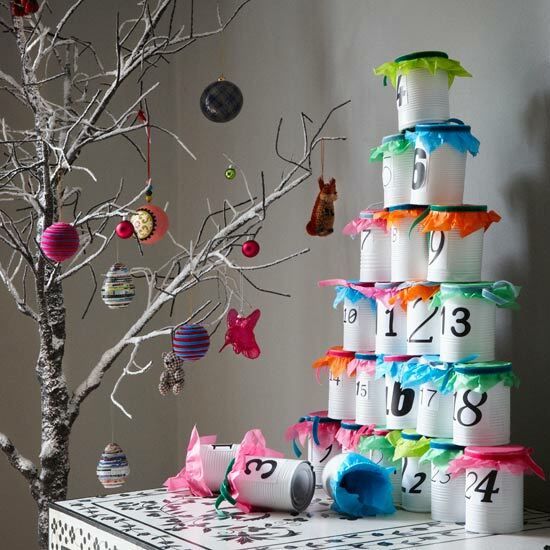 Modern Stacking Advent Calendar: simple DIY using tin cans & multicolored tissue paper. So easy to make your own with stuff you can find right at home. 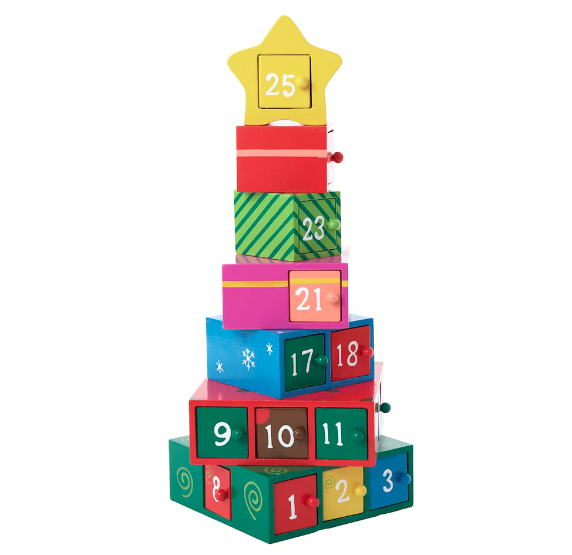 If the holiday season has you busier than can be, but you still want to participate in the wonder of advent, pick up one of these Gift Tree Christmas Advent Calendars. 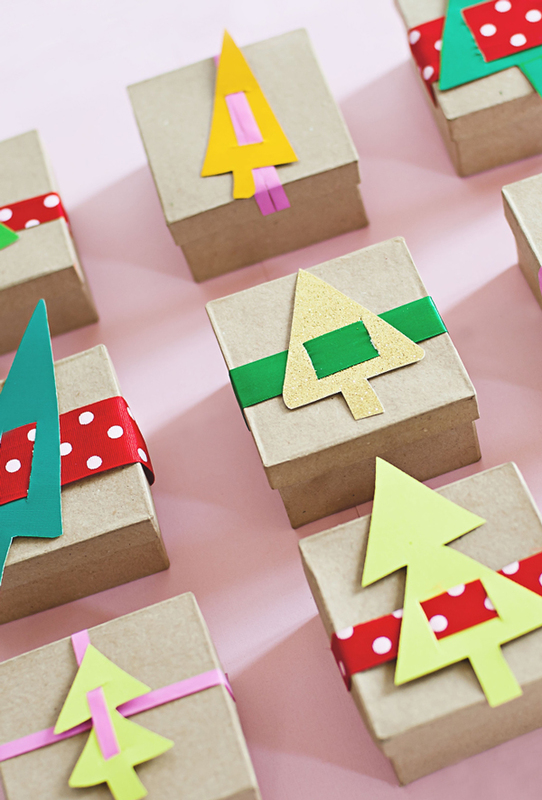 It’s got little boxes to fill with goodies and is perfect to add some Christmas spirit to any room of the house. I love the idea of filling an advent calendar with funny little gag gifts. 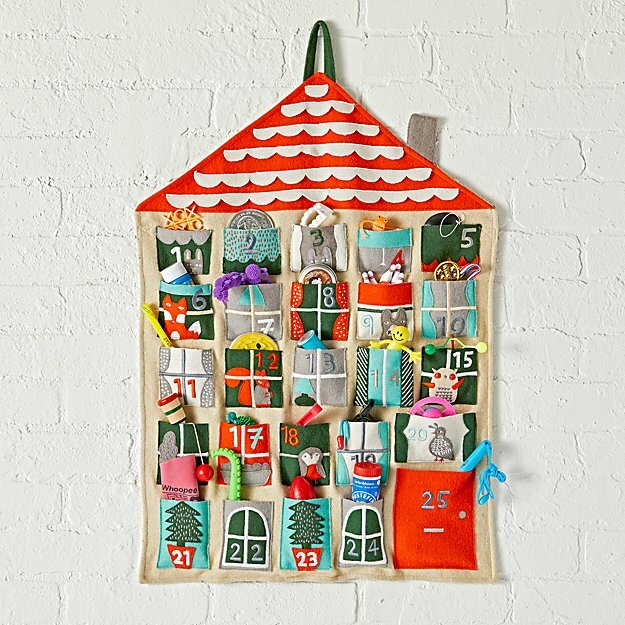 How about this Holiday Helper Advent Calendar? It helps hold all the silly things that the kiddos will love playing with while waiting for the big day. 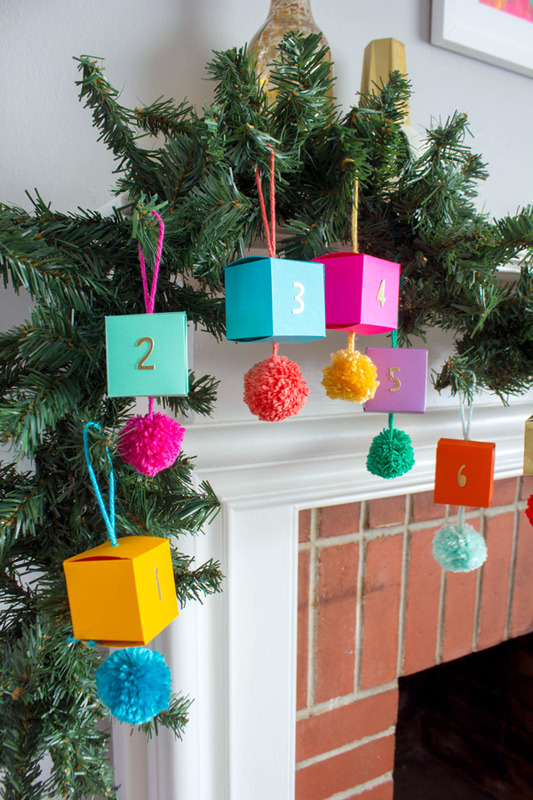 Love everything about this DIY Paper Ornament Advent Calendar. And the colors really pop against a string of garland. 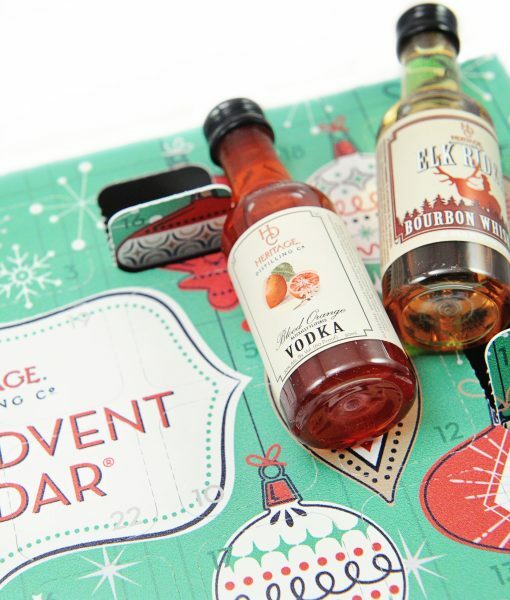 Speaking of something to savor, a Spirits Advent Calendar is something we can totally revel in. Filled with 24 minis, there’s a reason to celebrate every day leading up to Christmas. We’ll definitely say cheers to that. 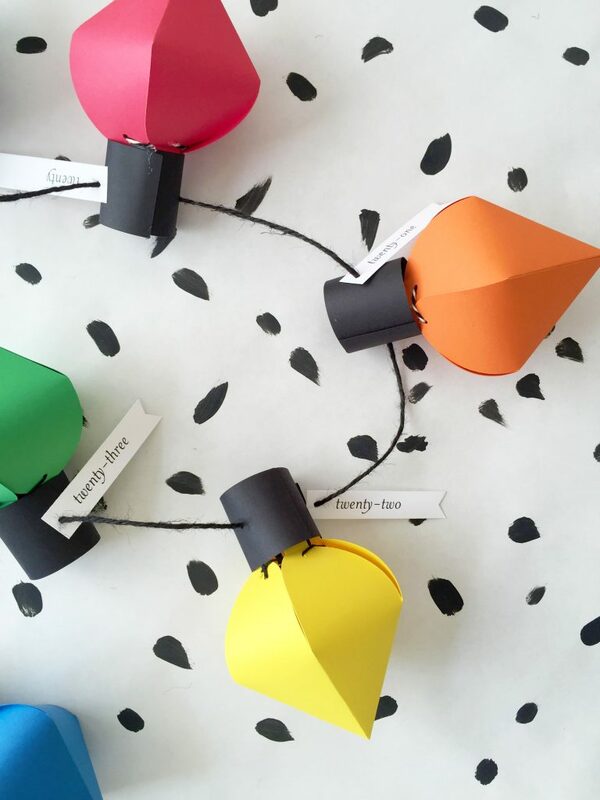 Teeny-tiny, lovely lights make up this DIY Christmas Bulb Advent Calendar. So festive and bright! 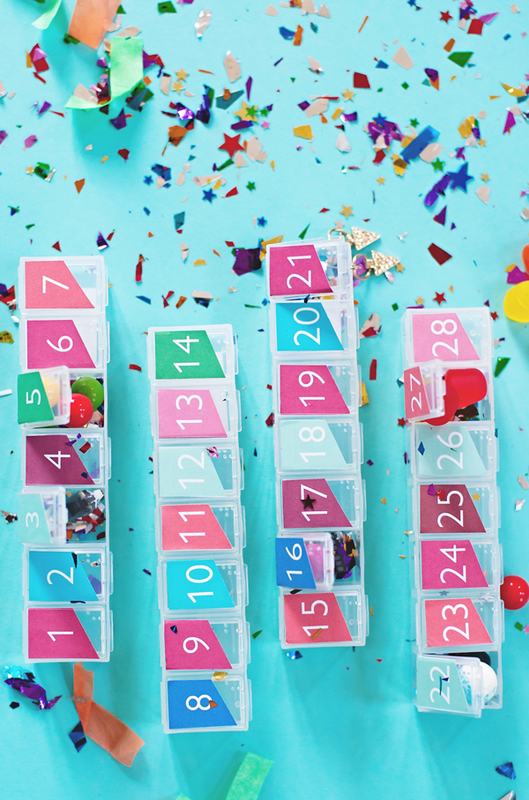 Why not repurpose a pill box this season into a Pill Box Advent Calendar! 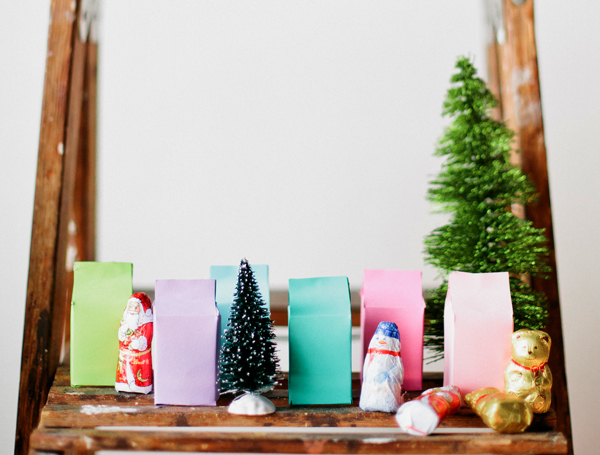 There’s so many teensy treasures to sneak inside each little mini box…candies, coins, confetti! 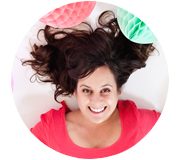 Have fun and make it your own; vitamins don’t have to be the only tasty treat left inside. 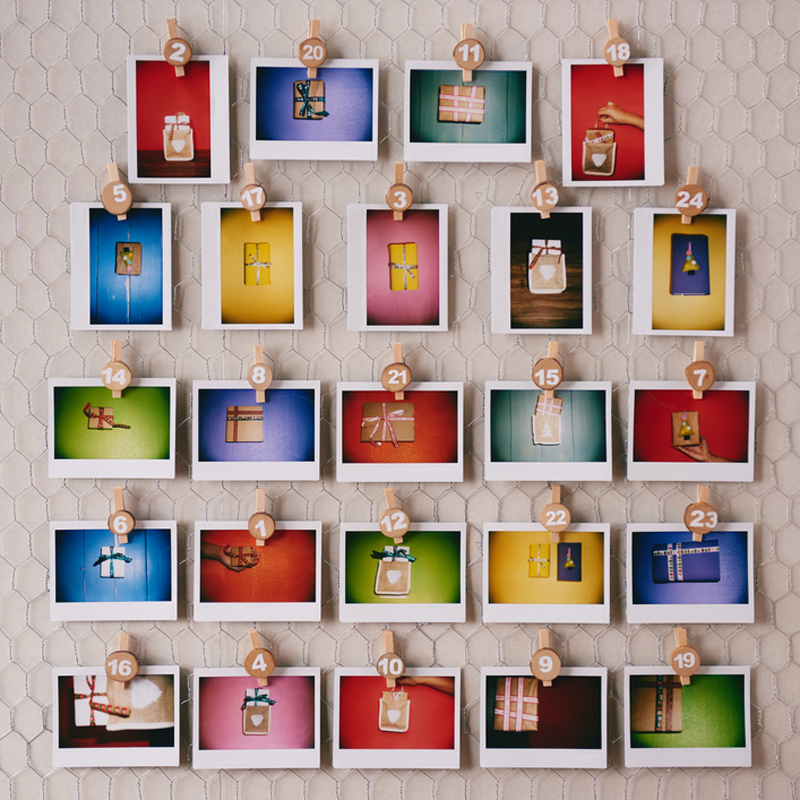 A Tea Advent Calendar gives us all the warm and fuzzy feelings. What’s better than cozying up with a big blanket, steaming mug of hot tea, and watching the snow fall softly out the window? 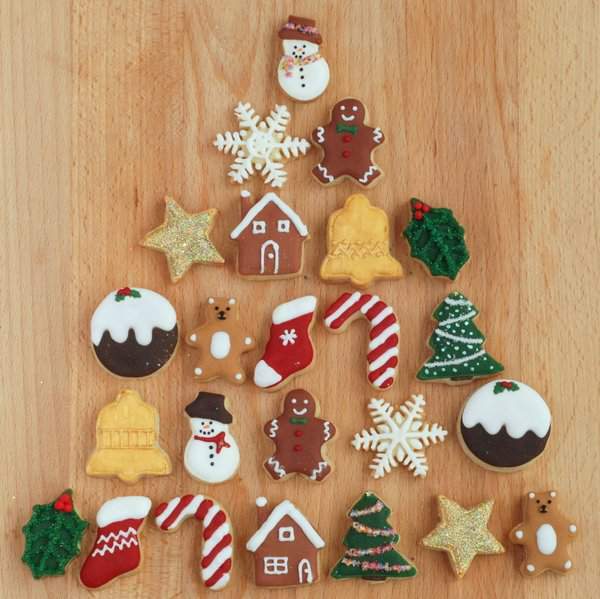 We are so dreaming of a white Christmas! How about you? We’re really into hiding tiny treasures during the advent season this year; after all, it’s a revelrous way to bring some whimsy to the every day! 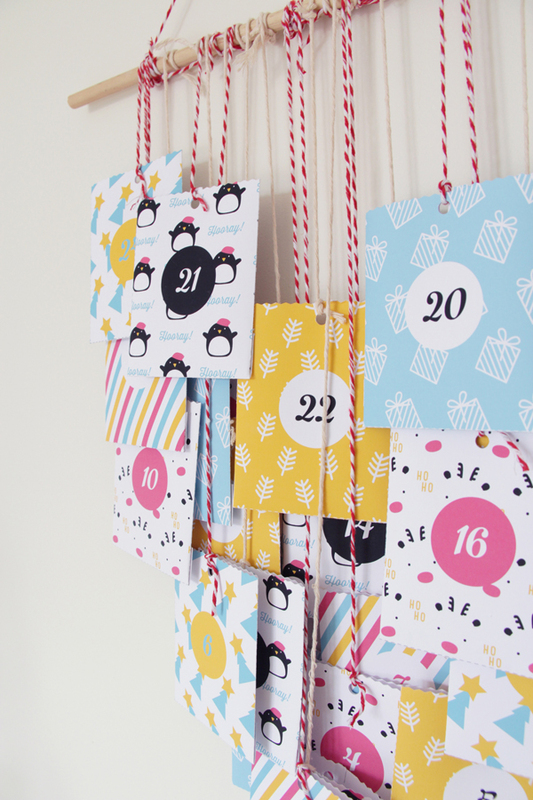 Our Printable Graphic Advent Calendar is a colorful and fun way to sneak in surprises this holiday season. 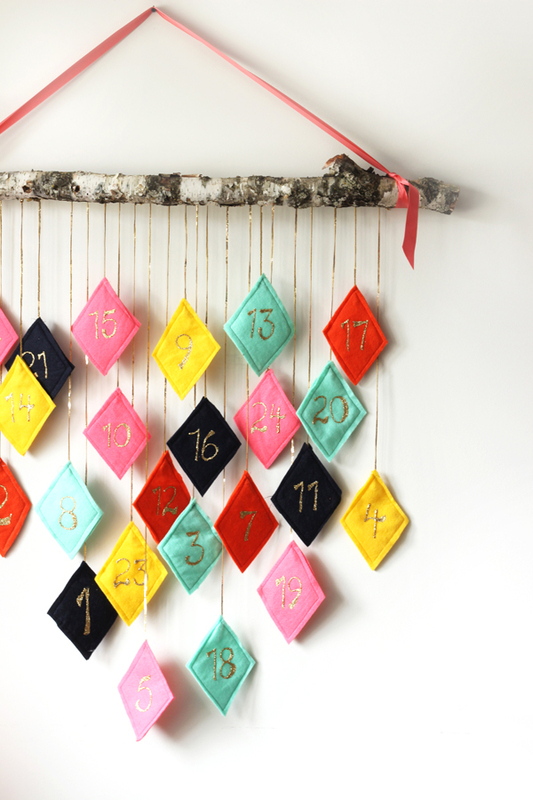 Little felt diamonds make up this DIY Modern Advent Calendar. We love how it’s hung on a tree branch, perfectly contrasting the pops of color and gold sequin string. Such a neat way to decorate the home this holiday season. Thanks for journeying with us through these colorful advent creations! 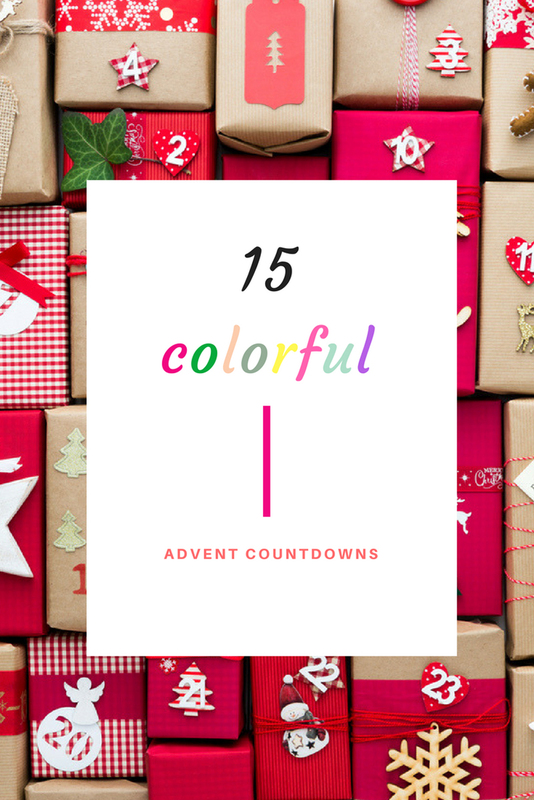 It’s gonna be a November + December to remember with these 15 Colorful Advent Countdowns + this paper tree countdown which is simple & super colorful. How about you, does your family have a favorite advent tradition? A go-to DIY? 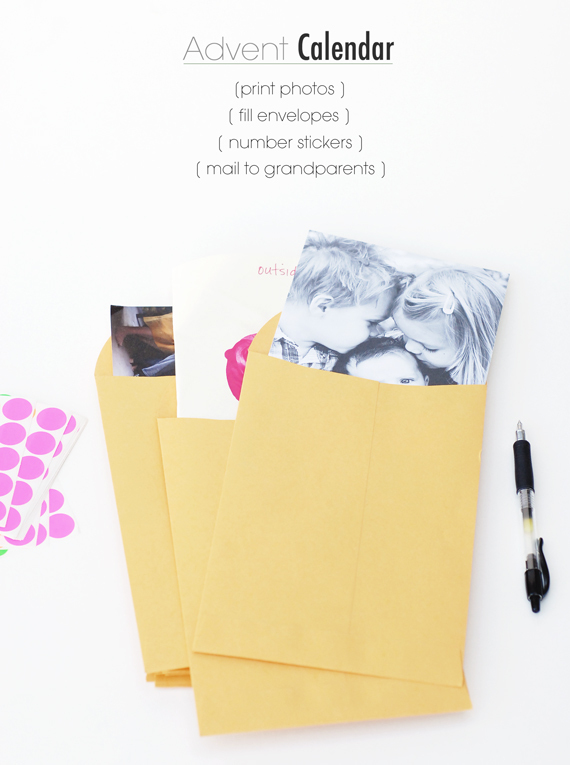 Or, maybe you’ll call dibs on one of these fun ideas? We sure will. PS. 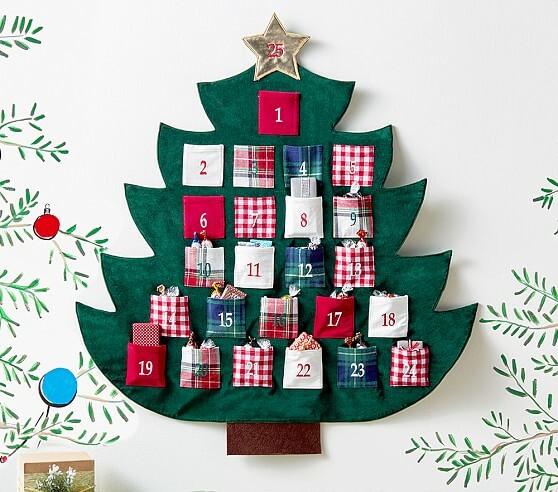 Also this plaid tree Advent countdown is filled with all the colorful fun & incase you need more inspiration the most creative advent countdown calendars.